You might be surprised to learn that multimedia is something that Linux is really geared up to do, and the open source operating system really does it well. Thanks to the low resource footprint of the majority of Linux distros, you can get a lot more out of a standard PC than if you were running, say, Windows 7, and with this extra power Linux makes a great multimedia studio for editing video, music, photos and even graphic design. More and more freelancers and even full studios are turning to open source solutions, and this is reflected in the wide selection of multimedia applications that are now available for Linux, both free and premium. There are many ways to access and enjoy multimedia (movies, games, photos) on a Linux computer, but it is fair to say that one of the main uses for Linux is to host media, usually as a media center. Many media center applications are available and there are even complete Linux distros dedicated to providing a user interface for watching TV on your computer or HTPC, using a DVR (digital video recorder) and viewing streamed content on a standard domestic television. When installed on a system equipped with high quality audio and graphics, a TV out connection and even a TV card, these media center applications turn a typical PC into something far more focused and powerful. XBMC, MythTV and LinuxMCE are among the most popular distros and applications for setting up a Linux-based media center, although others are available. TV on Linux? You Bet! Using Linux you can also serve movies, music and pictures to other devices by configuring your computer as a media server. There are various ways in which this can be done, from streaming data across the web to keeping things local and simply serving video and music to other devices on your local network. You might even take advantage of VLC and Icecast for serving content around your network, ideal for sharing pictures from a TV card or other video file. It isn’t all about the video on Linux, however. 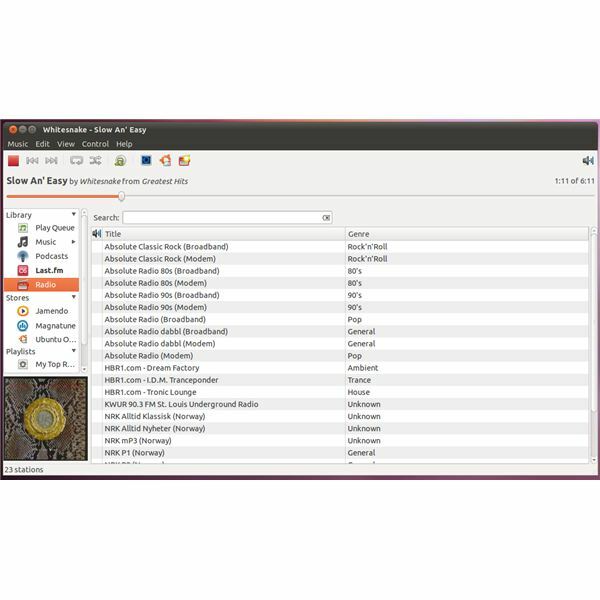 You will find that there is plenty for audio enthusiasts to get stuck into, from the basic audio controls to managing your MP3s with a script and choosing the best jukebox application (some distros such as Ubuntu ship with multiple music players). Whichever you choose, you will find a great choice of options and even an online store for downloading MP3s. While many people would have you believe that Linux cannot be used to sync data with an iPod or to access iTunes, this isn’t strictly true. After all, there is always a workaround whether the solution in this case is to run iTunes in an emulator or virtual machine or discard the online store and sync tool in favor of a Linux-based alternative. Most multimedia requirements involve video, either playing Blu-ray or DVDs, making backups of optical discs, converting videos and authoring your own DVDs or simply choosing the best DVD device and app for your Linux distro. There are ways of viewing QuickTime and other formats in Linux, and if you’re planning on building up a vast library of clips you will probably find that saving online streamed videos is fiendishly simple with your distro of choice.